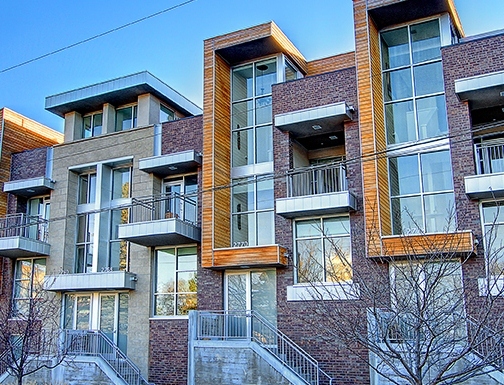 Upscale cutting-edge Highlands townhome situated directly across from beautiful Jefferson Park! This home has an extended entertainment deck including a natural gas line for grilling off the kitchen and 3 additional outdoor spaces. Stunning Chefs kitchen with impeccable finishes, French 4-door refrigerator, gas cooktop, & Bosch canopy kitchen appliances. 5 piece master suite with a deck overlooking the park. The fourth floor features a beautiful flex room that could be used as an office or second bedroom, full bath with a luxurious custom steam shower and two sun decks with great views of Jefferson Park, Pikes Peak and downtown Denver city lights. Finishes include travertine stone tile, Carrera marble, gleaming wood floors & granite counters! One car garage with a fully covered second tandem parking space and separate storage room. Permitted street parking also available if more parking is needed. Perfect location! Close to Downtown Denver, LoHi and Highlands Square. 2770 W. 22nd Ave is listed at $429,000. Call me for more details at 303-618-3622.